Located between the Carpathian Mountains and the Black Sea in southeastern Romania, Bucharest has earned the nickname “Paris of the Balkans”. An astonishing range of architecture belies the varieties of vision and epic upheavals that this city has seen over the centuries. Advice: Don’t go to Bucharest for shopping. Great city, typical issues with taxis, but most of the myths about beggars and dogs are not true. It is not as bad as its reputation – there are no dogs roaming the streets. An excellent restaurant located in a historic building with a luxurious interior. A venue recalling the “little Paris” of the inter-war era. Favorite attraction: The Cotroceni Palace – official residence of the President of Romania, includes a museum and a fortified monastery from the 17th century. Near Bucharest Mogosoaia Castle, Cernica Monastery and Snagov Monastery. Best-kept secret: traditional Romanian cuisine and hard drinks (palinca and tuica). You can get to know them if you spend some time in the countryside. Rural tourism is widespread and especially appreciated by foreigners eager to spend some relaxing time in the heart of nature. Advice: Be patient if you drive! There’s heavy traffic at peak hours. Best-kept secret: Newly opened galleries hidden in the streets of Bucharest. 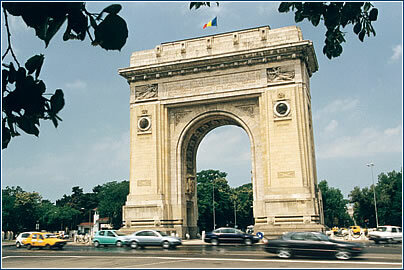 Advice: Bucharest is really a “little Paris” – hotels and restaurants in the center are very expensive. 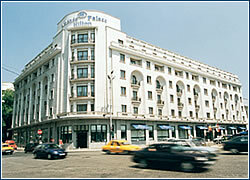 although it opened only a few years ago, it already has a classic appeal and impeccable service. French restaurant with superb food (try the fruit minestrone), service, and decorative taste. Favorite attractions: The old town (Lipscani area), which is slowly regenerating itself with lots of antique shops, restaurants and nightclubs in an eclectic fashion. For now, it doesn’t have “tourist attraction” stamped all over it. Best-kept secret: Romanian wines – unbeatable quality/price ratio. Advice: Mind your pockets and bags in crowded areas, and keep track of your credit card payments. Average January temp: – 2.4° C (28° F). Average July temp: 22.8° C (73° F). http://www.hotelstravel.com/romania.html – a good site to jump off from before you make your trip, for finding tickets, hotels, etc. 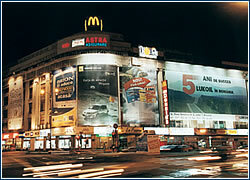 http://bucharest.cybercityguides.com/mainindex.html – not much to look at, but this online travel guide can help with accommodation, package tours and sight-seeing. http://www.inyourpocket.com/bucharest-city-guide.html – in its own words, this site offers clear, concise and pertinent information on Bucharest. http://www.fodors.com/miniguides/ – on Fodor’s portal page, you can find useful travel guide links to many cities, including Romania’s capital. Maps and info from other travelers are unique features. 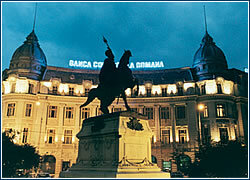 http://www.travelnotes.org/Europe/romania.htm – historical and geographical information alongside travel tips and tourist hotspots. http://www.lonelyplanet.com/destinations/europe/romania/attractions.htm – come here for a less conservative overview of the city and what is has to offer. · Market reforms and the encouragement of foreign investment are showing a significant effect. Inflation figures slowed from 44.9% to 34.5% between 2000 and 2001, and are expected to be 25% in 2002. The average income, less than USD 100 per month in 2000, is now USD 148, with unemployment at 9% (6.5% in Bucharest itself). Many people have returned to now privatized agriculture, which accounts for 20% of the GDP, while industry, still struggling with structural reforms in energy, accounts for 36%, and services 48.3%. The IMF estimates an overall growth rate for Romania of 4.5%, the highest among EU candidate countries. 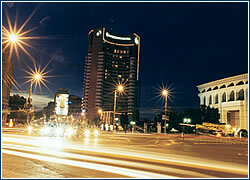 · Bucharest is Romania’s main communications and industrial center. Some of the largest multinationals in the city are in oil (Shell, Texaco and Agip), automobiles (Renault/Dacia and Nissan) and IT (IBM and Microsoft). Other key industries are agricultural machinery, transport equipment, textiles and clothing, chemical products, construction materials, furniture, footwear and wine. The tourist industry is strongest on the Black Sea coast and the ski resorts, but is very much on the back burner in Bucharest. · Romanians are sociable and love to talk, and a surprising number speak excellent English, although the older generation may prefer French or German. Bucharest natives are also extremely formal, and visitors should respect this tradition, making appointments for meetings well in advance. Punctuality is important and suits are expected. Business lunches may take two hours, with wine or beer the most popular tipple.